We are driven to provide the best property management software out there. To do this we ask for your input on what could be improved, or what may not be working exactly as expected. We want to do what we can to make your use of Rentec Direct as fluid and seamless as possible. Here a a couple improvements, based on your feedback, that we’ve recently added. Simplified login procedure by saving your username and password upon request. Selecting the ‘remember me’ button is going to preserve your username and password settings. The data is stored on the computer you are currently using and is encrypted prior to storage, so it’s safe. Although, only use this feature if your on your own computer. You don’t want the next person using this computer to login to your account without knowing your login information. We offer a confirmation reminder whenever an activity has been successfully accomplished. While this reminder is great for new users to Rentec, it may be desirable to turn the confirmation off by advanced users. You can now do this in the Program Defaults settings page. 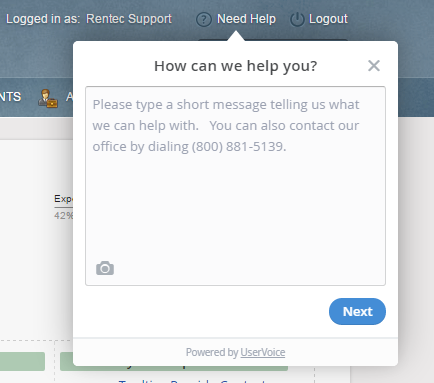 If you have a suggesstion on how to improve Rentec Direct, we want to hear about it. Please email it to suggesstion@rentecdirect.com. That sounds great. Does it only work for the U.S. rental market, or would it help landlords in the UK? It’s designed with US landlords in mind, and based on the USD, so there may be some tweaking in the future necessary to fully accommodate the UK or other markets. The basic principals hold true though in all markets of collect and track income/expenses to verify if the property is making a margin or not. Future features we have in development for Rentec Pro may be incompatible however; such as ACH auto rent collection, and tenant credit checks. While the signup form disallows signups outside of the US, if you are interested in giving it a whirl, I’d be happy to setup you an account manually so you can try it out. If you (or anyone outside of the US), would like to try it out, please email me your basic contact information, including international phone number and preferred login to support@visp.net.